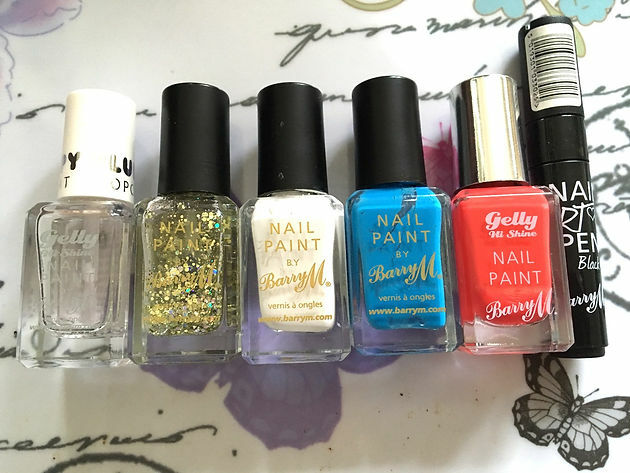 I very rarely paint my nails the same design twice, because I get bored really easily and I’m always looking for new nail art and creating different styles. 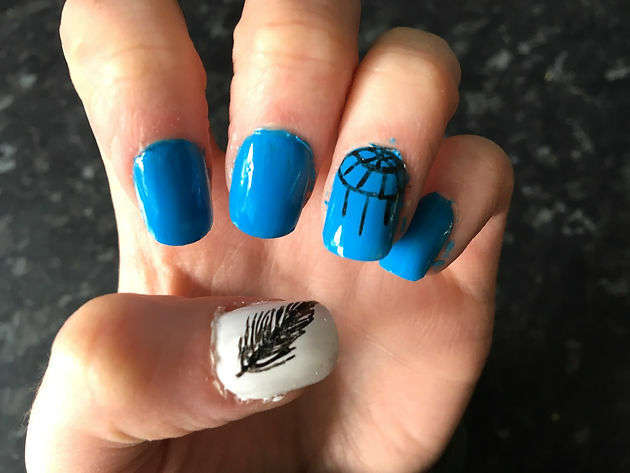 This however, I painted on my nails twice last year, and now I’ve gone and done it again! Boho is really in style at the moment, and I feel like dream catchers and feathers just represent this trend so perfectly. And they are actually really simple to do! 1. 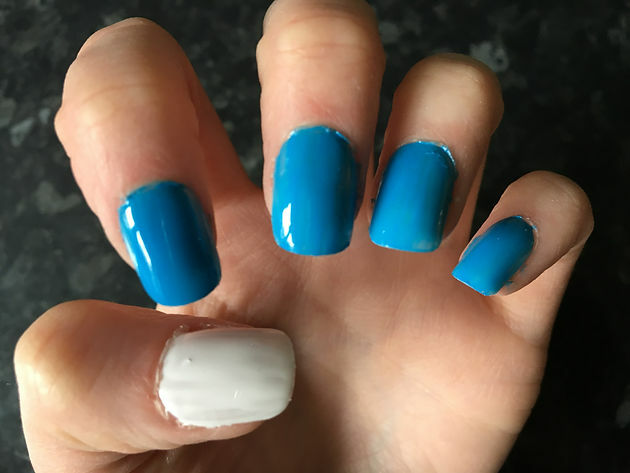 Apply 2 thin coats of Blue and White (on the thumb) polish to your nails. 2. Draw a diagonal Line up the centre of your thumb with black polish. 3. Using sweeping motions, begin to draw hair-like lines on each side of the line: creating a feather shape. 4. On your ring finger, about a third of the way down draw a semi circle. Within the semi circle, draw a small circle. 5. Inside the small circle, draw 3 lines, creating 6 ‘spokes’. Underneath Between the circle and semi-circle, draw 4 lines evenly spaced. Draw 3 lines under the semi circle to be the strings of your dream catcher. 6. 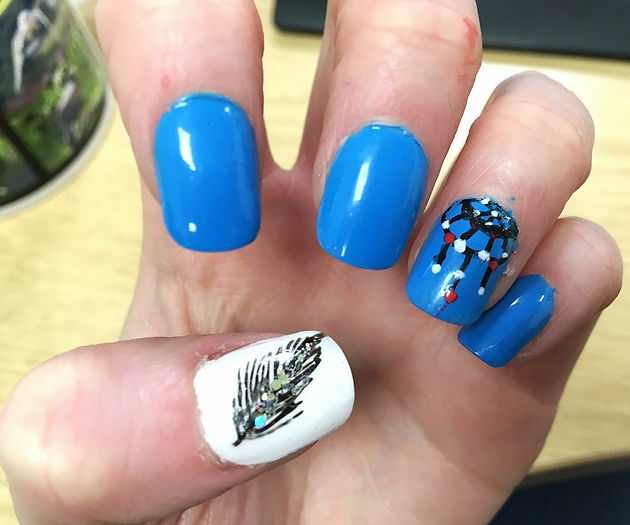 Using your white polish, draw small dots on each intercept to look like beads. Draw similar dots on the 3 strings- in either red or orange. 7. 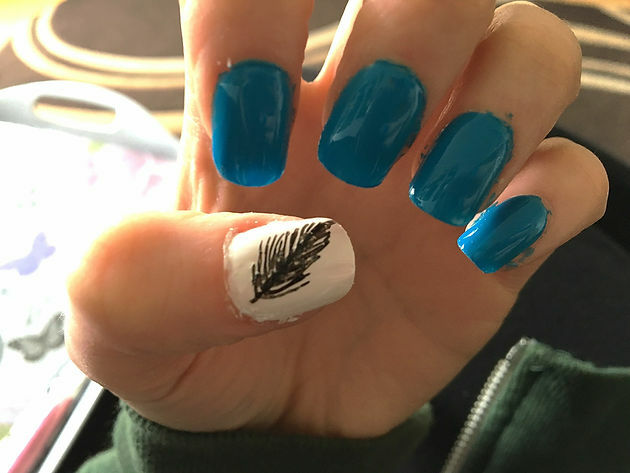 Draw a line of glitter through the middle of the feather. 8. Cover with a top coat and you’re done! 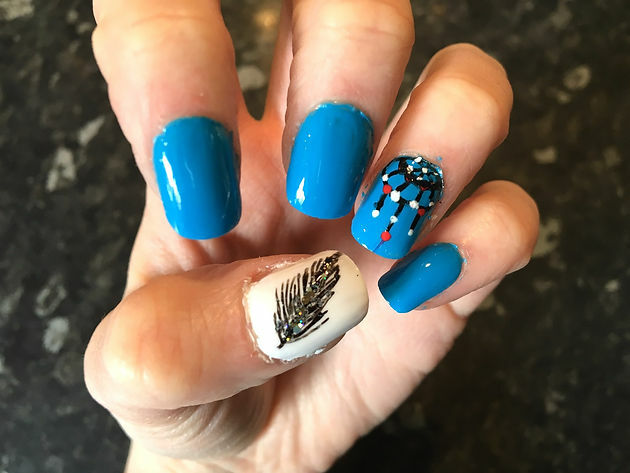 Love this nail art, it’s so effective but looks so easy to do! That feather looks great! Perfect for the summer/festival season! Thank you! 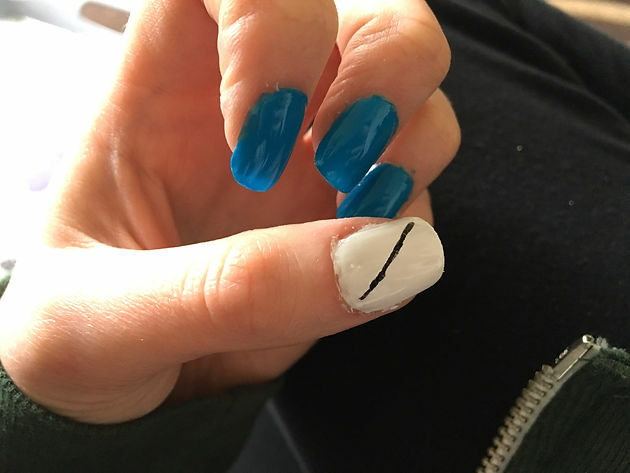 I love doing my nails, i just find it really relaxing!